A lot has been written and spoken about Tesla’s price cut and the electric car maker’s sharp sales (estimated & unofficial) decline in the United States. Truth be told, we at 1reddrop were not really surprised to see sales figures jump off the cliff in January 2019 and neither are we shocked to see Tesla slashing its price at a furious pace. In fact, we wrote about Tesla’s course of action if it wants to sustain demand in the United States. 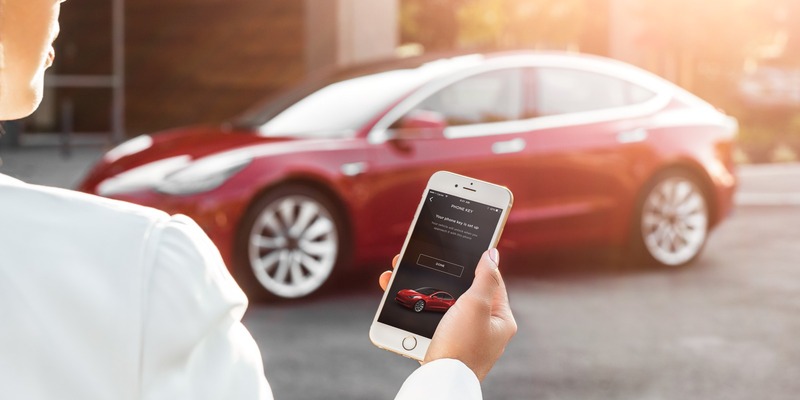 Either option will require Tesla to reduce its current average selling price, which is not an easy task for the company that recently turned profitable and hopes to be sustainably profitable in the future. It will be a challenge, but Tesla may have to cut the price further to sustain current demand in the United States and if it wants to increase current demand, it has to keep climbing down the price ladder, 1000 dollars at a time. A few days ago, Tesla announced that its lowering Model 3 price by $1,100 after slashing price of all models by $2,000 at the start of this year. Tesla is now just $650 short of absorbing the full effect of the federal tax credit shortfall for Model 3. But as we wrote earlier, it will be better if Tesla drops the price in small decrements, instead of one big cut. It will help Tesla monitor demand, adjust price as needed to keep up the demand, while also giving time for production capacity to grow. And do all of the above without taking a massive hit on margins. Tesla’s recent announcement to slash seven percent of the workforce was in line to help save costs as the company faces the daunting but anticipated task of reducing Model 3, Model S and Model x price. Insideevs estimates that Tesla sold 6,500 Model 3s in the United States in January 2019, a far cry from the 25,250 units the company sold in December 2018. There is a good chance that a major portion of the customers who may have got their deliveries in January were pulled forward to take deliveries in December. It was a $3,750 difference in price between December 31, 2018 and January 1, 2019. So naturally, most customers would have rushed in to cash in. The numbers may recover in February, but how high or low the demand will get be certainly be proportional to how high or low the listed price is. Tesla may be an unconventional company but nobody escapes the law of demand. Higher the price, lower the demand. $3750 to $7,500 could easily be the difference between you buying a base model or driving home a top of the line model. I was right before and I could be right again. Ok. To be honest, that statement doesn’t really make me feel the same way when I wrote “I was wrong before and I could be wrong again” a few weeks ago. I am really surprised to see the (media) reaction to the price cut and the job cuts. Tesla didn’t have much of a choice as it is the best available course of action under the given circumstances. Exporting Model 3 to Europe and China will be of great help as it will cushion the impact of sales decline in the United States. But, it will be dangerous if Tesla’s 2019 plan is to sell the same number of cars it sold last year. Tesla’s expenses are going to increase, thanks to their overseas production plans, the roadmap for future launches, Model 3 sales in Europe and China (which will require Tesla to increase front office personnel), and investments in supercharger and service capacity to address the growing fleet of Tesla cars on the road. If expenses are going to increase, then Tesla has no choice but to increase sales at a faster rate. To do that, Tesla will have to increase demand. To increase demand, they need to drop the price. As we wrote earlier, $1000 at a time.